Islamic militant group Boko Haram has been terrorising Nigerian citizens for more than a decade, but it is just recently that the world was made aware of the situation in Nigeria when 274 Nigerian schoolgirls were kidnapped last April. The girls were abducted from their school dormitories on April 14 by Islamic militants Boko Haram, and are yet to be released. Their leader, Abubakar Shekau, publicly stated his plans to sell the girls. However, on May 12, a video obtained by AFP news agency showed Shekau demanding the release of Boko Haram’s prisoners in exchange for the girls. On Friday May 9, around 300 people gathered in front of Nigeria House in London to denounce the kidnapping of the schoolgirls, thanks to the widely popular social media campaign #BringBackOurGirls. Last week, awareness on the case exploded via social media, with high profile figures such as Michelle Obama and Angelina Jolie condemning the mass abductions. Dr Abdullahi Abubakar, a Journalism teacher now based in London, believes that social media has played a massive role in raising awareness about the situation in Nigeria and explained why this particular case has gotten so much attention during the past few days. 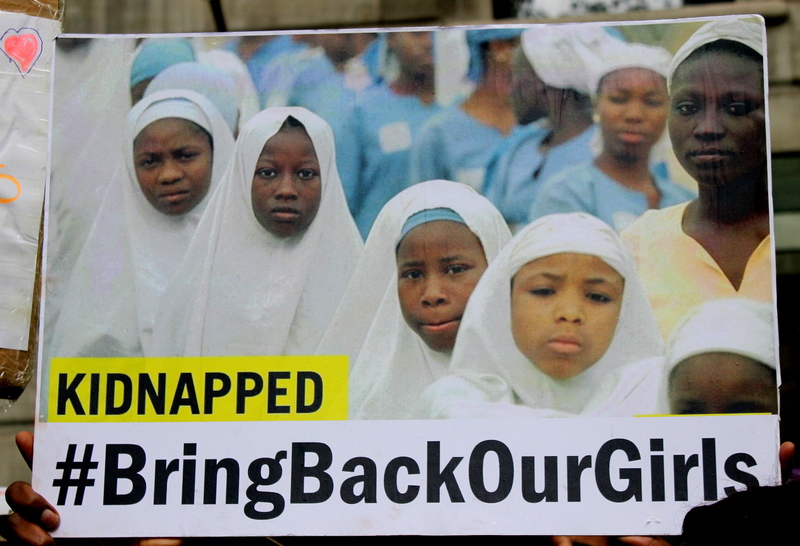 According to The Guardian, the #BringBackOurGirls hashtag has been tweeted over one million times. But how were these kidnappings allowed to happen in the first place? Many believe that the government’s corruption has played a large role in the rise of Boko Haram, as in Nigeria money budgeted for national security is going into the pockets of politicians and ministers. Furthermore, socio economic problems in the country make it easy for the young and unemployed to join such radical groups. Countries like France, for example, have now dispatched intelligence agents to Nigeria to aid with the operation and fight the militant group. For more photos from the London demo, click here. For more background onthe Boko Haram, have a look at this quick guide by TIME Magazine.